They’ll run the U.S. House of Representatives, thwarting some of President Trump’s agenda. With the Republicans keeping control of the Senate, though, it’ll take political skill and perhaps some compromise for Democrats to avoid being painted as the new obstructionists. 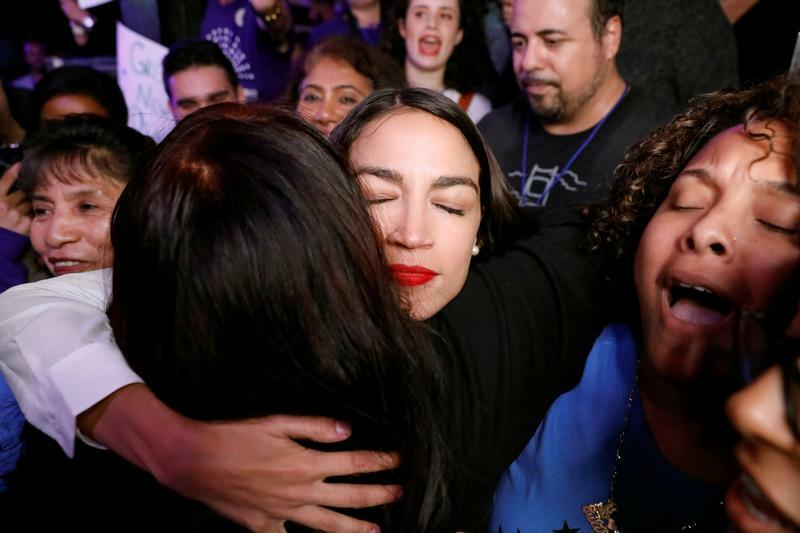 Democratic congressional candidate Alexandria Ocasio-Cortez embraces supporters at her midterm election night party in New York City, U.S. November 6, 2018. The Democrats were set to win control of the U.S. House of Representatives in midterm elections held on Nov. 6, Fox, NBC and CNN projected. The party was projected to gain 19 of the 23 seats needed to win a majority in the lower house of Congress, and was leading in 16 other districts currently controlled by Republicans, CNN reported at 10:55 p.m. ET. Republicans retained a majority in the Senate, where 35 of the 100 seats were contested. As of the same time, the GOP had already secured 50 seats, according to CNN. The overall results were generally in line with recent polls.